The Xc 45 was the first model in the Xcruising range to be launched, and was named European Yacht of the Year, praised for her combination of cruising comfort, performance under sail and responsive handling. As with all the Xc models which followed, the Xc 45 incorporates the X-Yachts steel hull/keel girder for strength and resistance to grounding, with deck and sail layouts designed for ease of handling when sailing two-up. 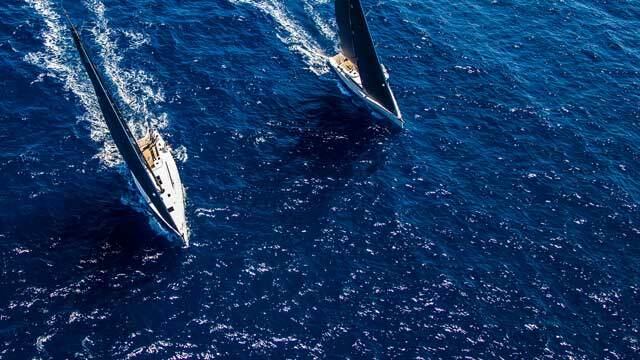 Following extensive feedback from a large group of Xc owners, as well as our own experience over the last 10 years, 2019 will see the launch of the ‘X-Yachts 40 Years Anniversary’ edition of the Xc 45. The ‘Anniversary’ edition of the Xc 45 builds upon the success of the Xcruising range with an updated specification implementing improvements from feedback gathered from a fleet of over 300 Xc yachts worldwide. From this edition of the Xc 45 and onwards, the Xc models are built using epoxy infusion in the hull. 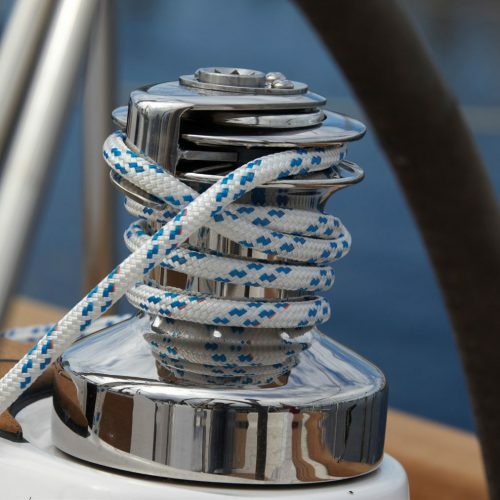 X-Yachts hulls are post-cured or “oven-baked” to improve structural properties of the composite. Epoxy resin has higher mechanical and thermal stability than traditional polyester resins. Added value to this production method is weight reduction. 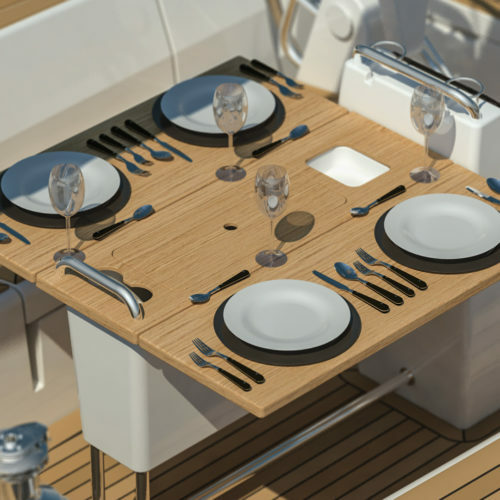 The Xc 45 boasts new options including teak as standard on sidedeck and optional on coachroof as well as fixed windscreens. 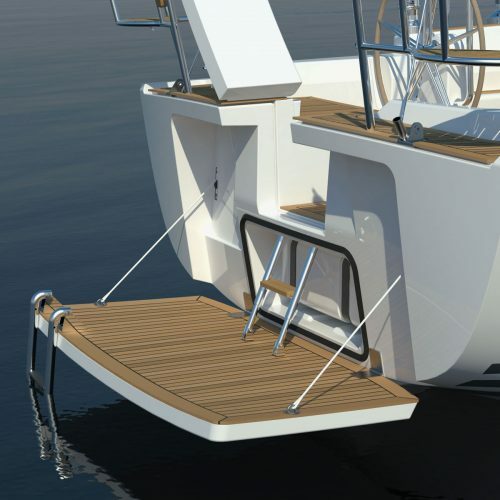 Functionality is key with small details such as the option to store the liferaft below the cockpit floor when in the marina. The bathing platform can be operated either electronically but opened mechanically in emergency. 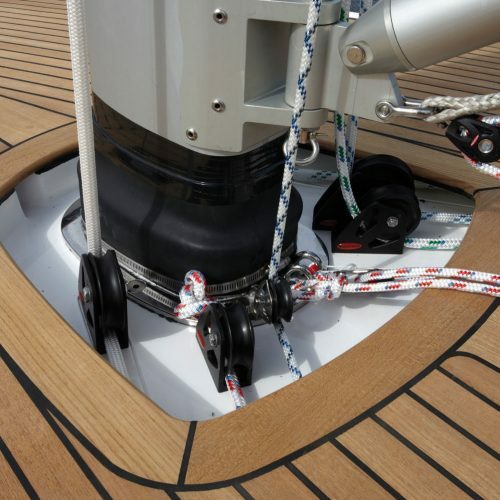 In true X-Yachts style, all the halyards pass below the deck surface and are stored in the cockpit floor self draining bin. On the Xc 45 anniversary edition, a new cockpit table design has been invented. The high quality galley has also been updated with space for optional appliances such as a Nespresso machine, microwave and top-loading deep freezer, automatic soft-closure drawers, and specially designed refuse storage. Corian worktops and a toughened glass splashback are fitted as standard. The saloon now features a larger table, restyled cushions for improved comfort, and integral book cases for storage. There is a choice of interior finishes, including black or white Corian worktops, maple or striped holly floorboards, and fabric or microfibre upholstery in modern colourways.